5 miles south of Bancroft near at the corner of Linden canyon and Fish Creek roads sits the Lund store. The Lund store is on the Hudson cut off on the Oregon trail. (below historical site on Fish Creek. The well is the Pioneer watering hole. A Pioneer cemetery and much history in this valley. A well known paranormal team investigated the store and found high electrical readings in the store with no electricity. Many voice recordings, a wheel chair slamming the wall while everyone watched in awe. 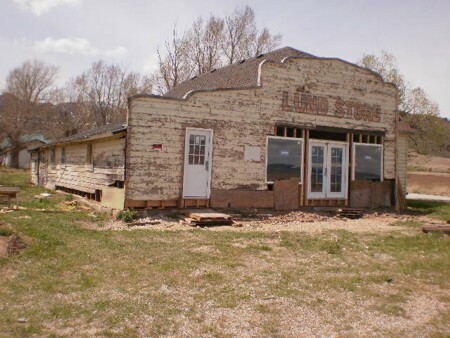 The store is being restored by relatives of some of the first settlers in the valley. The store has security and no trespassing signs. Do you know the history behind the store?. I am the owner. I grew up in this Valley and inherited it from my mom. A realtor friend discovered part of the house part was a cabin in 1815 before Idaho was a territory. Part of the house and store late 1800s. It was built by Carl and Britta Lundgren.